As part of the Grand Opening of GoWork Plaza Indonesia, we invited our partners and friends from the media to announce our new, strategic partnership with BCA, on Thursday, February 2, 2019. “BCA is proud to become a strategic partner with GoWork to pioneer the launch of the first-ever strategic partnership between BCA’s credit card and co-working provider,” stated Ketut Alam Wangsawijaya, Senior Vice President Transaction Banking Business Development of BCA. The first fruit born by this partnership is the “Pay-1-for-2 Days” promotion. The full details of this promotion can be found on this page. “It never crossed my mind before that having an office so conveniently located in a retail place can actually increase productivity and creativity. Not until I decided to build my team at GoWork. 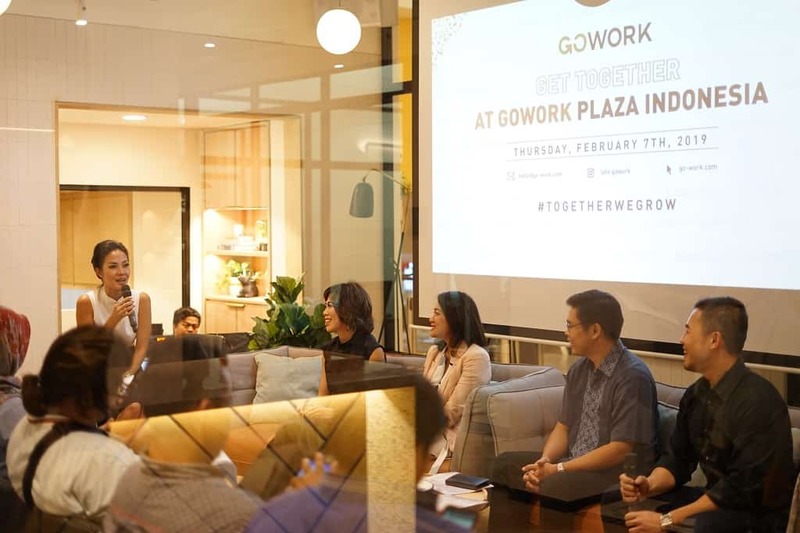 We are a relatively new tenant and have been extremely satisfied with the level of service, facilities, ecosystem, and community-centric engagements that GoWork rolls out,” says Vandy Leofatwa, Co-Founder and CTO of FITCO—one of our member occupants at GoWork Plaza Indonesia during the fire-chat session. Furthermore, we also invited the participants of the press conference to tour and explore GoWork Plaza Indonesia, after a round of lunch and networking. It sufficed to say that they were eager to find out more about GoWork PI, and our staff members were more than happy to help show them around. This partnership is proof that we are more than committed to bringing only the best and the most convenient to our members. We’re looking forward to exploring the possibilities that this partnership could bring. That said, we invite you to #GoExperience our partnership with BCA through the “Pay-1-for-2 Days” promo. Enjoy 2 full days of coworking experience with the price of 1!